Chiropractic is a branch of healing arts concerned with the human health and wellness process. Doctors of chiropractic see the human body as an integrated being. Their unique science works to relieve all kinds of conditions and ailments without drugs or surgery. With more Americans determined to seek safer treatment for their health, it’s understandable that chiropractic is growing so quickly. There are over 50,000 doctors of chiropractic practicing in the United States today, helping nearly 20 million patients. Chiropractic is the second largest doctoral level health profession. Many people today associate chiropractic only with healing lower back pain. While that is true, the reality goes far beyond those orthopedic areas. Chiropractic is a form of healing based on the idea that the human body has an innate self-healing ability and seeks balance. Our nervous system plays a major role in maintaining that balance. When problems in our spine and other joints interfere with the proper functioning of our nervous system, our body’s health is diminished. Doctors of Chiropractic are specially trained to analyze your spinal column and structural system for vertebral subluxation. 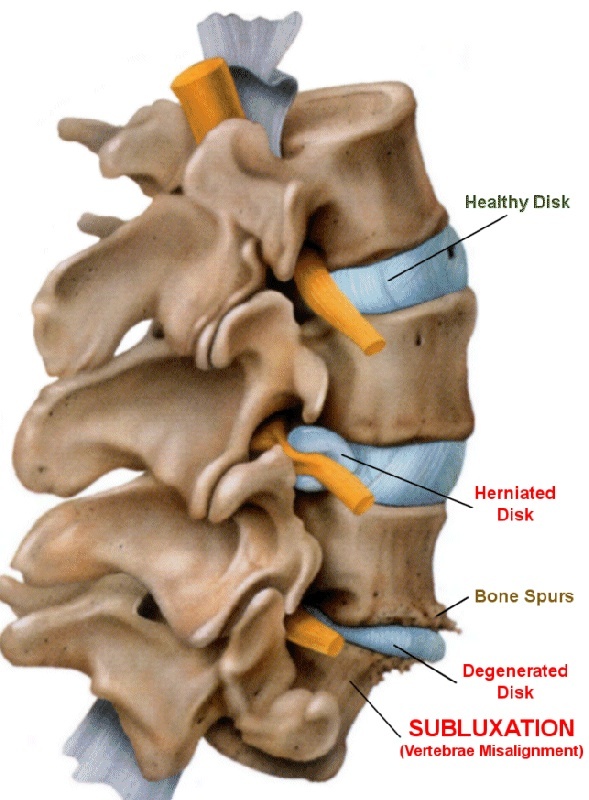 A subluxation is a misalignment in your spine that irritates your nervous system resulting in overall malfunction. Subluxation affects the health of your nerves, ligaments, discs, joints and muscles. It is possible for you to have subluxations in your body for years without noticing any effects. Eventually they can weaken to the point where you begin to develop symptoms. Doctor’s of Chiropractic remove your subluxations using chiropractic “spinal adjustment” techniques freeing you from pain and nervous system stress. Doctors of Chiropractic focus on the cause of a health problem rather than just treat the symptoms. Detecting the root of your condition is our primary focus. We correct your misalignments that interference in the function of your nervous system that impairs your overall health and performance. The nervous system controls all the functions of the human body. If the nerve impulses traveling over through your body are impaired, these body parts will not be able to function properly, resulting in pain, illness, and other significant health problems. Your body simply cannot function properly without proper nervous system performance. You will be glad to know the education demanded of chiropractors is very extensive and demanding, and is on average several hundred hours LONGER than that of a medical doctor. 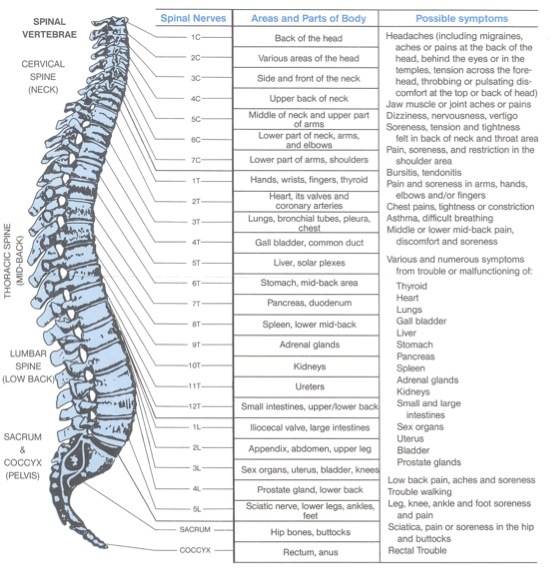 Doctors of Chiropractic are extensively trained in the healing sciences and in many areas receive more intensive training than MD’s, especially regarding the spine. They use many of the same procedures as an MD to evaluate a patient: full case history, physical exam, lab analysis and a possible X-ray examination. Because chiropractic education centers on health, not disease, a Doctor of Chiropractic (DC) will also carefully evaluate lifestyle issues, including nutrition, exercise and stress. Doctors of Chiropractic do not perform surgery or use drugs. Instead, they take a natural, hands-on healing approach. As primary care providers, they go through years of rigorous education and training to be licensed. Just how much education do chiropractors receive? In total, a Doctor of Chiropractic attends an average of nine years of school. DC’s must first complete a 4 year undergraduate degree in—focusing on the basic sciences—before they can attend an accredited chiropractic college. There they must complete four to five academic years of professional study with no less than 4,200 hours of classroom, lab and extensive clinical experience. This is on average several hundred more hours than a medical education. Only after all the requirements are met and national and state examinations completed can a chiropractor become licensed. Then, to further upgrade knowledge of graduates, licensed chiropractors are required to continue their education indefinitely in order to maintain their professional license.